On January 12, a year to the day, since the devastating earthquake in Haiti, my girl, Pascalle said, "Hot97.com. Click "Stream Now." NYC is giving Haiti much love with our beautiful music. Go listen *Dancing kompas with Xavier*"
I smiled, for many reasons. I pictured Pas dancing with her new born son, Xavier, squeezing all her love and emoting her culture into his lil' soul. I have always regarded Haiti, as a cousin to my island, due to the strong French influence in both islands. We both speak a broken French dialect. We dance and listen to similar music too. ... And in November, when my fellow country men were affected by Hurricane Tomas, also on its path to Haiti, I did not forget the Haitians. St.Lucians too were in dire need, there was desperation and the feeling was that we were forgotten too! 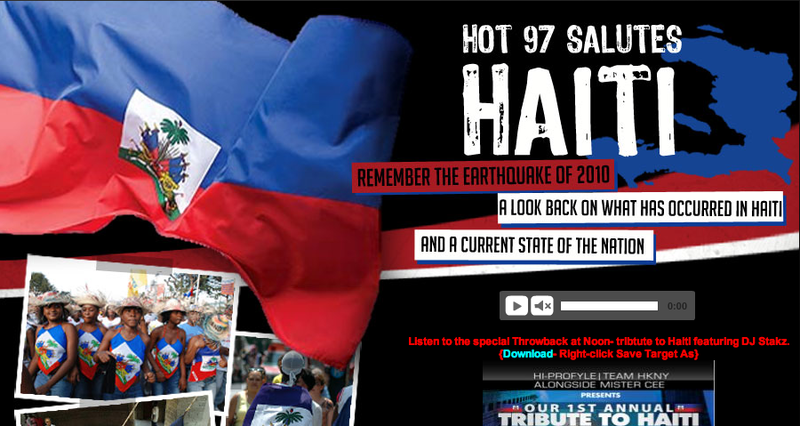 ... And I cannot forget the Haitians who've been a part of my life. My first Haitian friend in college, Caroline. Then there's Max, he's seen me grow up, from holidaying with my parents in Miami, to college in Miami and from a distance, now sees me as a parent due to our connection on Facebook. Max was a champion, after that January earthquake in Haiti. He did everything in his power to help his country men. ... And I have much love, for my girl, Pascalle and her cousin Jo. "Sak Pasé?" - How you doing?